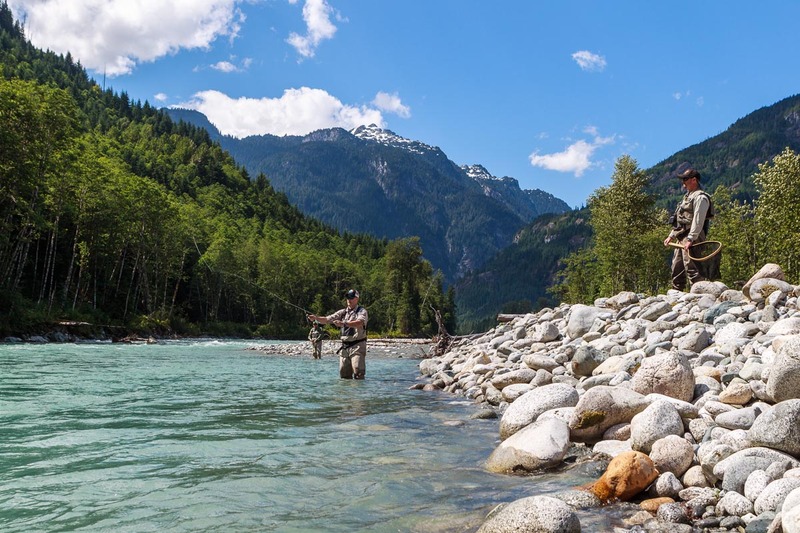 This Squamish fly fishing trip is designed to allow anglers to experience all that the Sea to Sky Corridor has to offer. 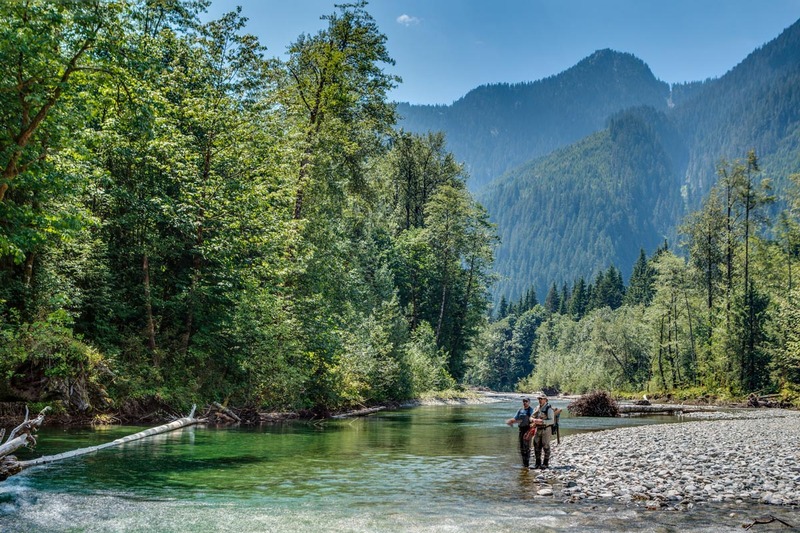 Whether you are interested in stillwater trout fishing or river fly fishing for char, Pacific salmon or steelhead, we have a trip for you. Call or email now to begin planning your next fishing memories. You can book online using this reservation form, call us toll free at 1-877-858-7688, or send us an email with your request. "As Good As It Gets..."
"Clint took me out for a day on the Squamish River and it was outstanding. I am from New Zealand and have had some good days in beautiful spots but this was the best day on a river I have had, bar none. Two reasons, Clint got us onto a lot of great fish (4 coho, a nice rainbow and I lost count of the big bull trout). The scenery was spectacular, although what made Clint a great guide was his patient instruction. He has been on the Canadian fly fishing team and it showed, his guidance on Czech nymphing has changed the way I will fish from now on."